Types of Open Access: What to choose? How to select the right journal? Open Access is part of Open Science. The aim of Open Science is transparency during the complete research process, for instance by sharing and re-using research data. Open Access is a broad international academic movement that seeks free and open online access to academic information. Open Access (OA) means unrestricted online access to your writings. Open Access offers you free, immediate, online availability of scientific information like research articles. For staff and students from Maastricht University (UM) there are no costs involved. Payment for reading full text is arranged through licensing arrangements the UM Library made with publishers. UM scientists who want to publish Open Access because of the greater reach for their article, and because their publications will be better found and cited, often had to pay for Open Access publishing. A fee paid to the publisher to make an article free at point of access has been called APC (article processing charge). Thanks to negotiations in recent years, university libraries have included Open Access in many licensing agreements with publishers. As a result, scientists employed by Dutch universities can publish Open Access in many journals without paying APCs. Open Access creates a greater public visibility of all research at UM. Greater accessibility of research could attract new research students, or help start new collaborations. Current information on the advantages of Open Access (OA) to publicly financed research and all Dutch OA agreements with individual publishers can be found on the Dutch National website http://www.openaccess.nl/en/ . The greatest benefit of Open Access is that it enables the results of scholarly research to be disseminated more rapidly and widely. It is only in the longer term that Open Access publication brings you concrete benefits. This can affect the priority that you attach to switching to this publication model. Read all about advantages and disadvantages you may experience . Open Access is widely known but it is still held back by some misunderstandings. Read more about often-heard myths in the following article. It is important to avoid predatory journals. These journals take away your control over your scholarship. Do you know the editors of the journals and/or some authors who have published in the journals you selected? When in doubt, we advise you to trace or contact them. How can you be sure you can trust a particular journal? Follow the ‘Think Check Submit‘ check list to verify you choose trusted journals for your research. Can you find the articles from the journals in reliable databases such as Web of Science (Thomson Reuters), Scopus (Elsevier), Directory of Open Access Journals or a database in your own discipline? Is the publisher clear about peer review and the costs of Open Access? Is there a registration number (ISSN) of the journal on the website? Is the publisher or editor a member of COPE, Committee on Publication Ethics or do they follow its guidelines? 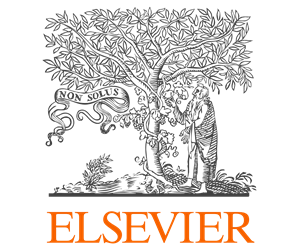 Why choose Open Access (OA) as a publishing method? OA increases your article citations as evidence is developing that greater visibility of research boosts your citation frequencies. Institutional repositories like Research Publications (for manuscripts and articles which aim to make your research output become widely available and discoverable via tools like Google). The ‘golden’ road is the same as paid OA. The ‘green’ road to OA is the strategy that uses archives or repositories like Research Publications . The ‘green’ road only requires you to retain rights to allow self-archiving, and to deposit your work in a digital repository. Repositories do not act as publishers. Rather, they provide access to some version of papers either before they are submitted for publication in a journal or at some point after they have been published, usually subject to an embargo period. The author or article processing charges of the journal. Citation databases such as the Web of Science, are used to determine the research impact. For this reason, many researchers prefer OA journals which are also indexed in citation databases. Hybrid journals are subscription-based journals which make individual articles immediately available to the public if you pay an additional open-access fee. The fee paid to the publisher to make an article free for the reader has been called an APC (article processing charge). With APCs you buy the right to publish an exact copy of the final version of an article. Open Access journals that are part of national Big Deals with publishers are free of APCs. UM Library has Big Deals with many publishers. The UM situation has been specified for individual publishers. Conditions for new calls for proposals have been changed by the Netherlands Organisation for Scientific Research (NWO). All funded research for which the calls were issued after 1 December 2015, must be immediately made accessible to everybody via Open Access (OA) publications. The granting conditions for calls published before this date and current research projects remain the same. Read more . Check the OA journal browser for the current overview of journal titles and the possibilities to publish Open Access. The UM Journal Browser is derived from the national open access journal browser. You can see which journals offer open access publication and which arrangements (such as APC discounts) are in effect. The Association of Universities in the Netherlands (VSNU) (UM included) have negotiated deals with several publishers, as a result of which no Article Processing Charges (APCs) are due (100% discount). Local agreements between Maastricht University Library and publishers are also included in the browser. Information about all Dutch OA agreements with individual publishers can be found on openaccess.nl . ROAD Directory of Open Access scholarly Resources : gives access to OA scholarly contents via a single access point. ROAD can be searched by country, subject, indexing/abstracting service etc. OA articles can also often be found with a web search, using any general search engine or those specialised for the scholarly literature, such as OAIster and Google Scholar . To find OA journals with a Journal Impact Factor in a specified discipline, use the Web of Science . Many funding agencies like the European Commission and the Dutch NWO organisation support OA. For a list of research funders’ OA policies, consult SHERPA/Juliet . Sharing research results with the world is key to the progress of your discipline and career. But with so many publications, how can you be sure you can trust a particular journal? Follow the ‘Think Check Submit’ check list to verify you choose trusted journals for your research. Copyright has become increasingly important but also more complex in Open Access. UM Library has a Copyright Information Point also to help you with legal aspects of Open Access. Overview of the agreements between Maastricht University and individual publishers with regards to the coverage of Article Processing Costs (APC). Corresponding authors whose articles are accepted by ACS, will be granted automatically an ACS AuthorChoice Open Access License CC-BY-NC-ND. A corresponding author participates in the OA program, for a journal article, if he/she provides to ACS, at submission, an institution name, and an email address extension, which should be associated with the institution. If an author did not use an email extension associated with their qualifying institution (for example gmail), or did not pick the proper institution from the drop down list, the article will not be published as OA. The involved institution will be able to request the article to be published in OA until three months after acceptance. The agreement covers all 57 ACS subscription titles. More information needed? Please, go to ACS Funding Agreement with Partnering Dutch Universities. Maastricht University has a supporter membership at BioMed Central . This membership entitles researchers and students to a 15% discount on the author’s fee. Just select Maastricht University or MUMC+ in the drop-down menu. The publisher will apply the discount automatically. You will find more information about this discount on the BioMed Central website. There is an agreement with Cambridge University Press (CUP) to publish Open Access in 339 hybrid and 17 full Open Access journals. All titles are included in the title list [PDF]. A number of journals (especially society journals) are excluded from the deal, but corresponding authors can always ask if their article can be accessed without further charges. The entry date for acceptance of Open Access articles is 1 June 2017 and the duration of the agreement is three years from this date; thus until 1 June 2020. After an article has been accepted, the corresponding author may indicate under which affiliation he/she submitted the article; CUP will know that the author is entitled to APC remission; an ‘Apply Discount’ button appears that the author must click to confirm. Corresponding authors of Dutch universities receive 20% discount when they publish in the De Gruyter Open Access Institutional Member Scheme. De Gruyter Open member institutions and their affiliated authors are entitled to benefit from a 20% discount on Article Processing Charges (APCs). The portfolio available to Dutch scholars consists of over 500 OA peer-reviewed journals. Please contact our OA specialists to find out about the current procedure. 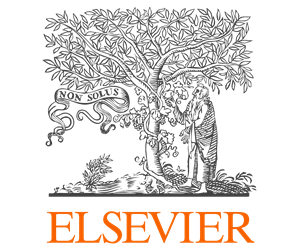 Elsevier has established an agreement with the VSNU to help Dutch authors publishing OA in Elsevier journals. All accepted articles by a corresponding author of Dutch universities in the selected 396 journals by Elsevier are eligible for open access publication without extra cost. Indicate in the workflow module that your research was conducted at Maastricht University. Then choose the Gold Open Access option. Indicate that you opt for a CC-BY license. See the workflow documentation for further explanation. Emerald will issue 55 open access vouchers to authors at Dutch universities in 2019. In 2020 that will be 57 vouchers. These vouchers can be used for publication in open access of one article in all journals issued by Emerald. The vouchers are valid for hybrid as well as full open access journals. Every year the Dutch universities receive 14 extra vouchers. These can be used for publication on the EOR Emerald Open Research Platform with open peer review. Every Dutch university can yearly make use of one voucher for EOR. Unused vouchers can not be taken forward to the next year. Corresponding authors contact the open access contact person of the university before the acceptance of the article. The contact person will then submit a request to Emeralds account manager. On the website of Emerald Partnership open access, you can find how many vouchers have been used. Emerald shows the open access message in Publishing services. Emerald open access partnership page. 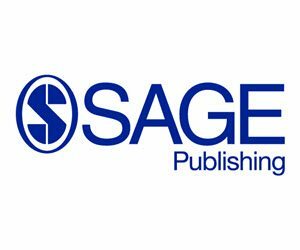 An agreement has been in place to publish at no additional cost in all Karger journals as the corresponding author. On request from Karger, verification of the authors will be done by Maastricht University Library within three days. See for participating institutions and information at the publisher’s website and choose Netherlands in the tickbox. Corresponding authors of articles from Dutch Universities will be able to publish their article free of charge, without Article Processing Charges, in Open Access in about 230 hybrid journals . Included are original and review articles, systematic reviews, meta-analysis, full case reports and series published in Hybrid Journals. Articles for Full Open Access journals (without subscriptions) are excluded. 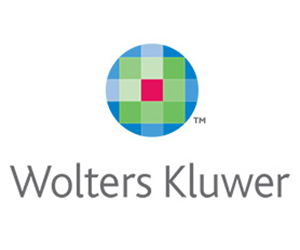 With respect to the procedure: on acceptance of the article by the publisher/journal-editors, Maastricht University / MUMC+ authors are advised to contact our Open Access support team for an “APC Waiver” code, which the author can use in LWW/WoltersKluwerHealth’s payment system to ensure the Open Access fee is waived. Any researcher should just go to the specific OLH journal or OLH-sponsored journal of their choice and submit as usual. There will be no fees. Please contact our OA specialists to find out more about the current procedure. Oxford University Press (OUP) is a major publisher of academic journals, both in the sciences and the humanities. 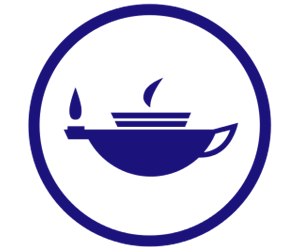 OUP publishes also hundreds of journals on behalf of learned societies. They publish also thousands of scientific books each year. It is the largest university press in the world and the second oldest. It is a department of the University of Oxford and is governed by a group of 15 academics appointed by the vice-chancellor. OUP is located on Walton Street in the suburb Jericho. 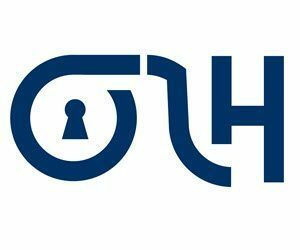 The agreement for publishing in open access is put into action for 2019 and 2020 for around 322 hybrid journals of OUP. Corresponding authors of all Dutch universities and UMC’s can make use of it, except authors from TU Delft and TU Eindhoven. Corresponding authors must be affiliated to one of the Dutch universities. Yearly, all participants together are allowed to publish a maximum of 760 articles. Upon receipt of a manuscript into production at OUP, the corresponding author will receive a welcome email from the OUP Production team, inviting them to log into OUP’s online licensing and payment system, Author Services, to sign a license to publish and arrange payment for any associated publication charges. The corresponding author will log into Author Services via their Oxford Academic account using the unique link provided in the welcome email. The corresponding author will be presented with the available license options for the journal in which their article is due to publish. In order to request payment of the open access charge from the VSNU/Maastricht University fund, the corresponding author will need to sign an open access license and will be asked to confirm that they have read the Author Copyright Agreement and will pay any applicable charges. They will then be presented with the associated open access charge. The corresponding author should select ‘Dutch universities and academic hospitals’ from the dropdown list of institutions beneath ‘Open Access Prepayment Account’ on the Article Charges page, check the ‘Refer Charge?’ box next to the open access charge, and then click ‘Refer Charges’ at the bottom of the page. The corresponding author can then provide additional information, i.e. Original Research Funder, and Grant Number, before reviewing the charges to be referred and completing the referral. The corresponding author will be redirected to the Article Charges page, on which they can choose to cancel the referral or they can arrange payment of additional charges. The corresponding author will receive an email informing them that the open access charge has been successfully referred for review by the account holder [Maastricht University]. Once the account holder has reviewed the request, the corresponding author will receive an email informing them of the outcome. If the request is approved, the OA charge transaction is complete. If the request is rejected, the open access charge will be returned to the corresponding author for them to arrange payment via another method, i.e. credit/debit card, or invoice. More information from OUP about this deal is available on the website of Oxford University Press. For general information with regards to Open Access publishing, you can contact our Scholarly Communications & Publishing Officer, Ron Aardening. Update 12 March 2018: No agreement between Dutch universities (VSNU) and Royal Society of Chemistry. Read the article below for more information. The corresponding author should be recognised as a researcher of a Dutch university, based on a proper e-mail affiliation. The 100% discount applies for 786 subscription titles, covered by the current overview of journal titles with a nationwide Open Access discount. Please visit the National agreements page for more information and/or download the title list compiled by SURFmarket for an overview. Sage has to ask for permission for the 100% discount to learned societies, who take advantage of the Sage platform. This applies for 40 journals, identified by the addition: “ask the library”. After acceptance of the paper, the author will receive an e-mail from Sage with a form about the nature of the Dutch agreement. As next step, an application form must be filled in and returned immediately in order to publish the paper OA without cost. On the form, you will be asked for a code which you do not need to fill in. Corresponding authors from Dutch Universities can request a discount of 20% for around 80 full OA journals. When APC payment is requested, authors should first contact OA support team for the APC discount code. Dependent on the journal, the author should reply to the payment email with the code (citing the VSNU deal, if possible) or if the payment system allows the code input, the code can be used to automatically claim the discount. The code should be provided at the right moment (as described above). The discount cannot be given with retroactive effect. Maastricht University and MUMC+ corresponding authors can publish open access free of charge in more than 1.800 Springer Nature journals within the Springer OpenChoice programme. Articles by corresponding authors from Dutch universities and the KNAW will be published in open access, at no cost to the author. 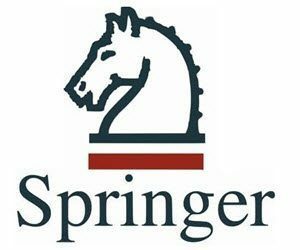 The agreement applies to some 1,850 journals within the Springer OpenChoice programme, with the exception of titles from learned societies, BioMedCentral and SpringerOpen. There is a maximum of 2,080 items. If this number is reached Springer will terminate the agreement and items will no longer be eligible for open access. At article acceptance, you will be asked to confirm your affiliation by choosing it in the “Special Affiliation” drop-down menu and agree to the open access copyright and license terms. The selected institute will verify your affiliation. You don’t need to pay an article publishing charge (APC) to claim your Open Access licence. License details (contract, including Customer and Licensee Information and The Product Terms including Schedules). 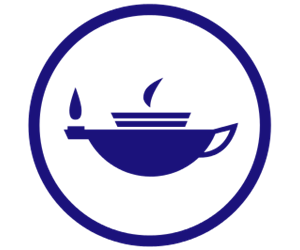 As of 2016, Maastricht University and MUMC+ corresponding authors can publish open access free of charge in more than 2.300 Taylor & Francis and Routledge Open Select journals. This is the result of a national deal between VSNU on behalf of all Dutch universities and Taylor & Francis. The agreement is valid for original research papers submitted to about 2.300 Taylor & Francis and Routledge hybrid journals. 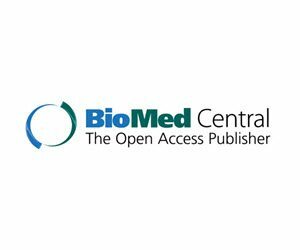 Corresponding authors connected to a Dutch university or University Medical Hospital will be able to publish open access free of charge in these journals. Some articles which are not original research papers, such as Editorials, Announcements, and Book Reviews, are not covered by this OA publishing agreement. After the publisher has accepted the paper, he will invite the corresponding author to publish in open access. Select the Creative Commons license of your choice. On Taylor & Francis’ website. Due to this discount, corresponding authors of Maastricht University do not pay € 2.500 but € 1.875. 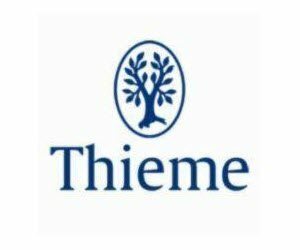 More information on the Thieme website . The Association of Universities in the Netherlands (VSNU) and scientific information provider Wiley have reached a Combined open access and subscription agreement between Wiley and Dutch universities of approx 1400 scientific journals and the opportunity to publish articles OA in a set of journals, without additional costs for the researcher submitting the article. Wiley also publishes 60 full OA journals; these are not covered in this agreement. A researcher can of course still make an individual decision to publish in one of these 60 full OA journals. However, as they are not part of this deal, charges will need to be paid by the researcher as an additional fee. Publish OA with Wiley : corresponding authors of Dutch universities should indicate when their article has been accepted, that the article must be published in OA. This goes without extra charges for the authors. Authors need to choose this OA option in the publication process. At the moment an author receives a message that his or her article has been accepted, the Wiley “author services pages” show how the author can select this option (see ‘Steps-for-Authors Flyers’ ). The APC (article processing charge) is also presented on this page. The author needs to select in the drop-down menu (Funder / Institution payment) his or her Dutch university, thereby indicating that the APC is covered (via the UKB/VSNU agreement). For questions or information, use the web form to contact an Open Access specialist.